This mama loves to entertain and has the most fabulous soirees! How lucky am I that I get to work with her? This sweet event was started for her daughter and has become an annual one. 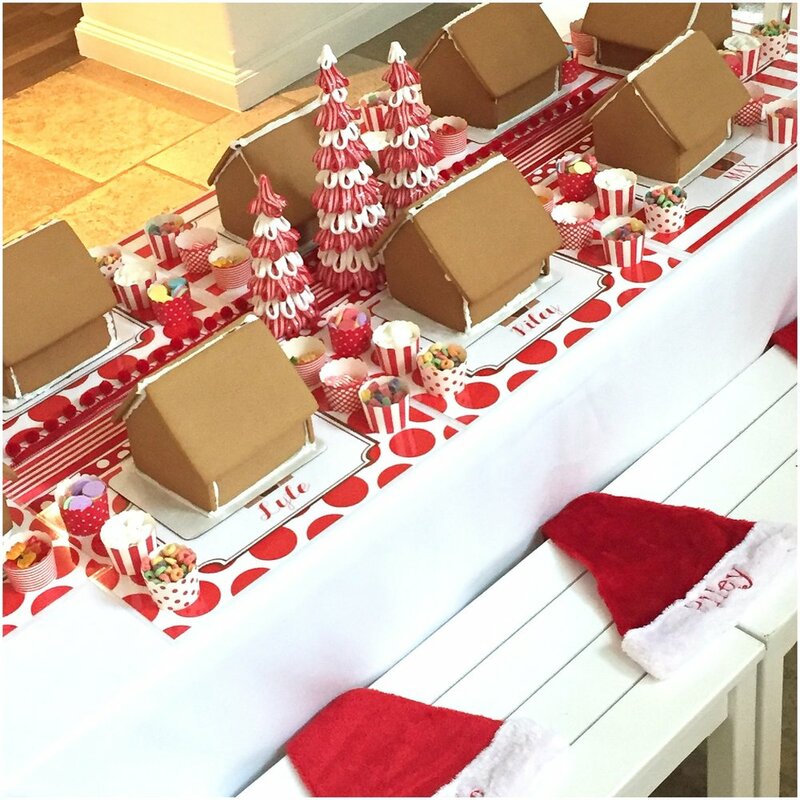 Jamie even added on a cookie decorating party for her little man and his buddies – no one should be left out of the holiday fun! The invitation, motifs and color scheme change from year to year, but the overall composition withstands the test of time. 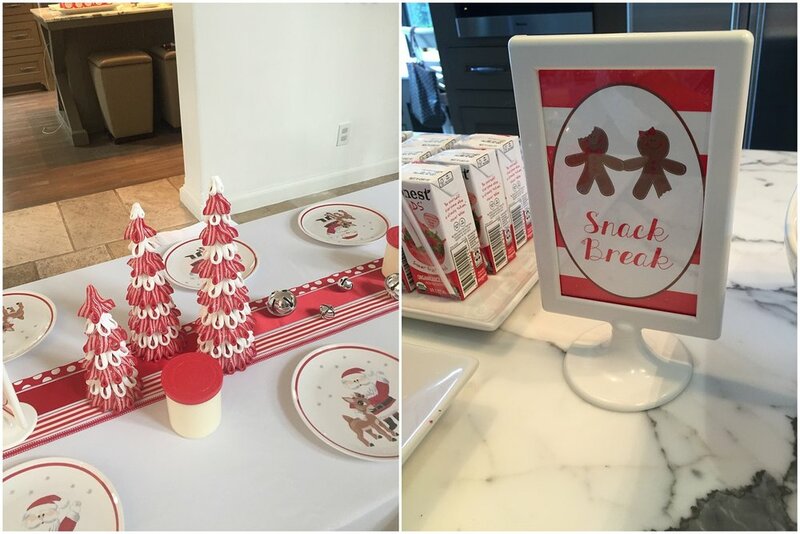 There are always gingerbread houses, gobs of colorful sugary sweets, customized party signs, placemats and a monogrammed gift to welcome all the home designers. 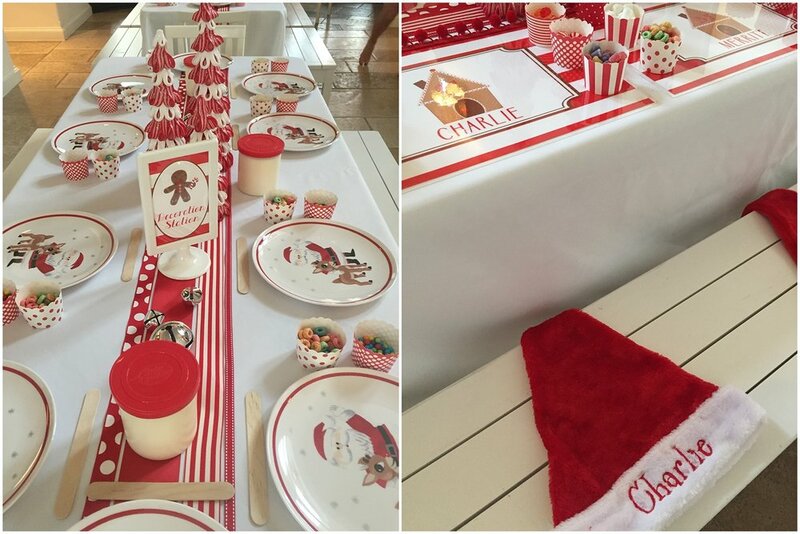 In this particular party, Jamie wanted monogrammed Santa hats for each guest. Uh, darling! And at the end of the decorating, each house could be taken home by the crafter in a gable box or cellophane bag with coordinating party label. Helps keep the masterpieces with their rightful owner. Talk about merrymaking!